There’s a whole tradition of European folk metal that hasn’t quite translated to American metal. I think this is in part because European mythology and folklore are so large and rich in their imagery. Plus, the various mythologies of Europe just lend them so well to the traditional metal themes. I can’t really think of many examples of American bands attempting to meld American folk music and metal. I guess you could point to some of the black metal bands of the Northwestern U.S. as kind of being in this vein, but I’ve always associated them more with nature in general than with any type of traditional American folklore. This brings us to the band at hand. I was a little bit hesitant when first hearing about what Huntsmen were attempting to pull off. You’ve got a band of dudes from Chicago who are attempting to meld a bit of Americana ideas and sound into a post-metal world. I mean, Bob Dylan and Arlo Guthrie aren’t the first names that come to mind when thinking about metal. The only album I can think of attempting this sort of thing is when the black metal band Panopticon released Kentucky, their groundbreaking ode to the coal miners and unionization struggles in Kentucky that ingeniously wove black metal and bluegrass together. 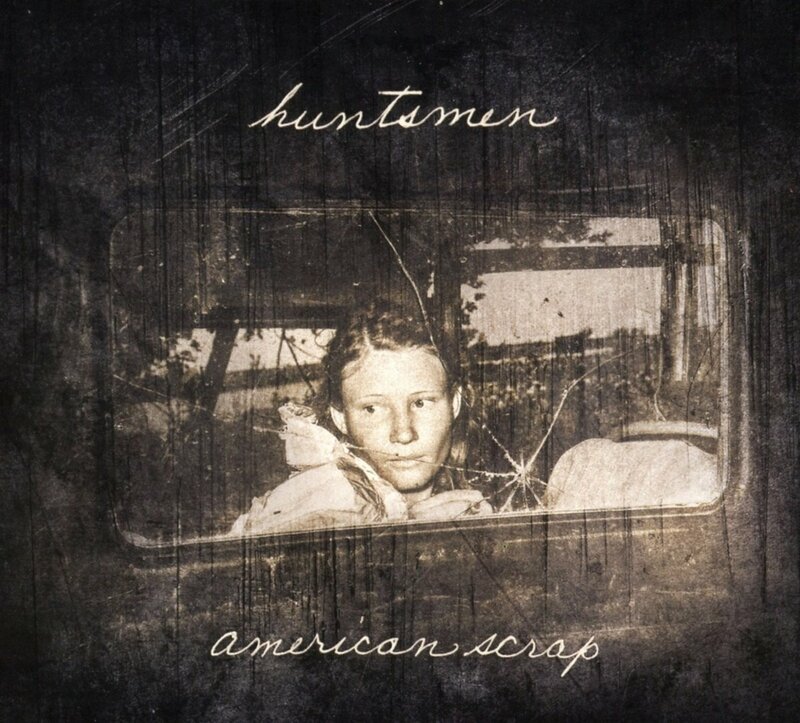 American Scrap is a unique blend of American folk music and doom/post metal. You’ve got clean acoustic passages with group harmonizing vocals that blend seemlessly into downtuned guitars and guttural vocals. Thematically, the album is very dark and very bleak. It takes a deep look at where we are as a people and it is not a pretty place. This isn’t your rah-rah jingoistic version of America that is fed down our throats by the flag waving masses. This doesn’t end well for anyone. This one shook me. It hit very close to home with how I view the world and it honestly left me with goosebumps both times I have listened to it all the way through. Do yourself and favor and step outside your normal comfort zone. Keep your mind open. This isn’t your typical metal record. I think if you give it a chance that you’ll see that we have been treated to something very special with this album.